We have 4 service bays for fast , efficient service. Our facility is complete with state-of-the-art diagnostic equipment, tools, and resources. We have 3 highly trained, certified, and skilled technicians with many years of experience. We install only the highest quality parts and serve the Southern Illinois communities of Herrin, Marion, Johnston City, Carterville, West Frankfort, Benton, and Carbondale. Remember when … You could take your car to the corner garage, where you and your mechanic were on a first name basis? They knew you and your car, and no matter what was wrong they could fix it. Remember? We Remember! 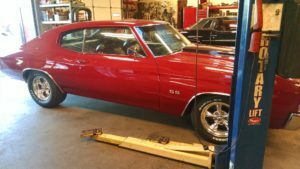 At Pursell Auto we’ve combined this “old fashioned” auto service with state-of-the-art technological advances in automotive service. Our goal is to help you make the best informed decisions possible for the care of your car. 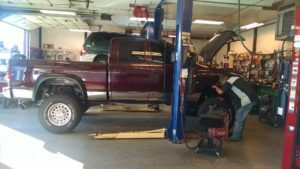 So the next time your car or light truck needs an oil change, tires or you are looking for a reputable auto repair shop with over 25 years experience stop by Pursell Auto Repair, you will find Complete Car Care You Can Trust! We offer full service auto repair, automotive maintenance, tires, and parts serving Herrin and Southern Illinois.